The lemon grass is a plant or grass that can be used for several purposes and it additionally posses attributes that are beneficial to our health. It is also a fact that green tea speeds up metabolism. People termed it as being versatile because it can be used as an ornamental plant, as a condiment, as tea or an essential oil. The lemon grass is characterized with a citrus taste and mild fragrance, and it has the capability of enhancing the taste of any food. Little wonder adding this grass in our recipes, produces a great taste and aroma. Traditionally, the lemon grass is being used for medicinal and therapeutic purposes. Adding lemon grass to our diet has immense benefits to our overall health and well-being. The lemon grass have been discovered to be a good source of vitamin A and C, magnesium, folic acid, copper, zinc, potassium, iron, calcium, phosphorus and manganese. It also have traces of vitamin B. As a result of the arrays of health benefits that the lemon grass possesses, it should be ideally included in our regular diet, so as to derive all these amazing health benefits it has to offer. The various health benefits of including lemon grass n our diet is quite innumerable. let us look at a few of them below, in order to take advantage of them. Lemon grass is known as an antidepressant, and it has an uplifting effect on our mood. Its aroma releases serotonin in the brain, which elevates the mood. According to studies, the lemon grass has a calming effect and it helps in relieving anxiety, thereby improving the mood. lemon grass can be used to clear a blocked nose and stuffy chest. It makes breathing to become easier, and the high content of vitamin C in it builds the immunity. The compound present in lemon grass inhibit the fat deposition in the body. By lowering the cholesterol, it additionally prevents the development of plague in the arteries that can lead to blockage in the heart and heart attacks. Lemon grass acts as a relaxant. It has the potency of treating insomnia and can also increase the concentration and memory retention in a person that consumes it regularly. It also has a calming effect that stabilizes the nervous system. Lemon grass is highly useful in treating pain, and also relieves aching and swelling in the muscles. It can also serve as remedies to condition like arthritis, toothache, gout, and inflammation in the urinary tract. 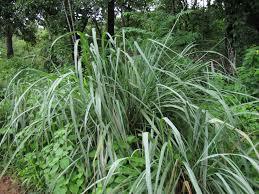 The lemon grass is also highly potent in treating indigestion and constipation. It thoroughly cleans and soothes the bowel and urinary tract and in totality, promotes the general wellbeing of the digestive system.